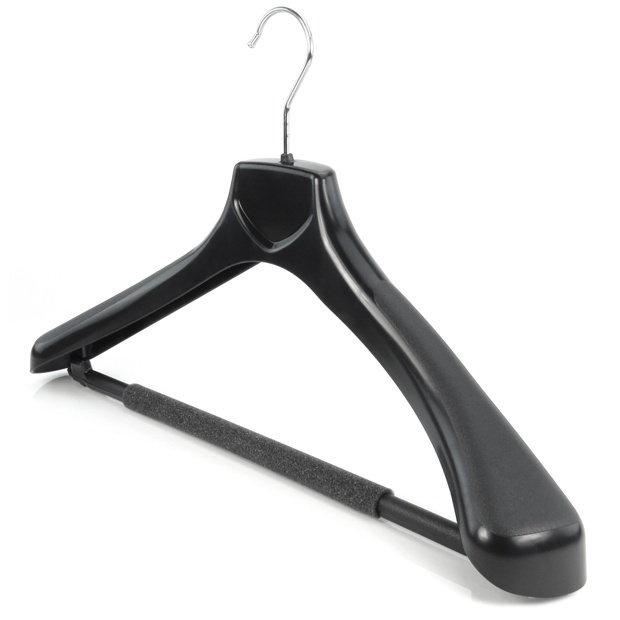 Robust and durable, smooth black plastic hangers. Multi-purpose; ideal for suits, jackets, trousers, coats, uniforms, etc. Wider arms, 6cm shoulder depth & wishbone design keep garments supported and in shape. Foam clothes protector sleeve on trouser bar mimimises creasing at fold. Large label area on collar. Size: Width 45cm (18") approx.